Are you looking for someone to clean your home for you? Why not try hiring professional cleaners for the job? If you are worried that it will cost you too much, call us. 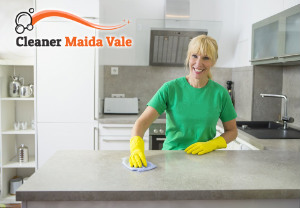 Our company is a cleaning services provider for Maida Vale W9, that loves helping people with their home’s cleaning and disinfecting, and we have made our prices very reasonable and affordable to everyone. Our cleaners have a rich experience with different cleaning tasks and challenges. They will come to your home equipped with the necessary cleaning products and equipment. They will have task lists for each room of the house, and will clean following said lists. If you have any special requests concerned with cleaning, you can tell our cleaners. 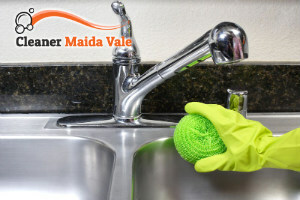 If you want something to be cleaned in a certain way, or to not be cleaned at all, our cleaners will take them into account. We are available for regular cleaning sessions, as often as you need them – weekly, bi-weekly, monthly, one-off, etc. Our cleaning services are very customisable and our prices are not fixed, they are set according to your needs. Our company helps people who do not have time to clean their homes. We know how important cleanliness is, and we also understand that not everyone stays at home all day to clean. That is why we have created our fantastic cleaning service, so that we can help the people from W9 get the clean and healthy homes they deserve. Hurry up and give us a call, if you are one of those people, and we will gladly help you and clean your home for you, too. Enjoy our excellent results and even better and economical prices.